Clients will be aware of - and may indeed have received - a letter from the SEC last year relating to so-called 'Unicorn' valuation. Unicorns are private (usually tech) companies without much of a performance record who have an estimated valuation of $1bn or more (such companies worth more than $10bn are termed Decacorns). Concern has been brewing at the Commission about this issue for a couple of years, and this was thrown into much sharper focus with the 'sweep' letter to investment companies in late 2016. It has been widely reported that valuations for these types of private investments vary significantly between different fund groups and even between different funds within the same group. Valuations of investments of this kind can be influenced by highly subjective assumptions in key variables and calibrations. The key to ensuring a robust and defensible value is to have a clear and transparent policy and procedure in place to produce this. Our panel looked at the SEC's concerns and how to deal with them, best practices and audit considerations when it comes to private equity valuation and appropriate methodologies to ensure compliance with these standards. 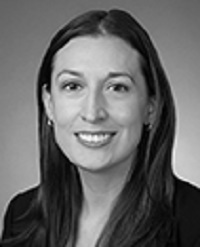 Jamie Lynn Walter is a partner in the Investment Funds Group in the Washington, D.C. office of Kirkland & Ellis LLP. Prior to joining Kirkland, Jamie was Senior Counsel in the Private Funds Branch of the U.S. Securities and Exchange Commission’s Division of Investment Management. 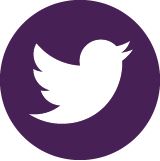 Jamie has extensive public and private sector experience related to the investment management industry. While at the SEC, she provided legal advice and guidance on a wide range of matters involving the regulation of investment advisers and investment funds, including private funds, mutual funds and exchange-traded funds. She worked closely with the SEC’s Division of Enforcement and Office of Compliance Inspections and Examinations (OCIE) on matters relating to private funds and investment advisers, including pending examinations and possible enforcement actions. She also made significant contributions to several Commission rulemakings and was a key member of the team that developed the Commission’s December 2015 proposed rulemaking on the ‘Use of Derivatives by Registered Investment Companies and Business Development Companies.’ Prior to joining the SEC, Jamie was in private practice where she advised clients on a variety of legal matters related to the structure, management and operation of private funds. Before entering private practice, she served as law clerk to Judge Jacques L. Wiener, Jr. of the United States Court of Appeals for the Fifth Circuit. Rajan has served a wide variety of Deloitte’s investment management clients, including mutual funds, private equity funds, family offices, and investment advisers. In addition to providing audit and other services to his clients, Rajan currently serves as a Professional Practice Director for the U.S. Investment Management industry group. In this role, Rajan is responsible for providing accounting and auditing consultation to the audit practice in the U.S., for performing certain risk management activities, and for representing Deloitte on industry task forces and committees. Rajan also serves as a co-author of Deloitte’s annual fair value surveys for investment companies. Outside of Deloitte, Rajan has served as a reviewer of the annual update to the AICPA Audit and Accounting Guide: Investment Companies and the AICPA Audit Risk Alert: Investment Companies Industry Developments. Rajan recently completed his service as the co-chair of the National Investment Company Service Association’s Midwest Committee. He is also serving on the AICPA Revenue Recognition Investment Management Task Force related to the recent accounting standards update on revenue recognition and on the AICPA Investment Companies Expert Panel. 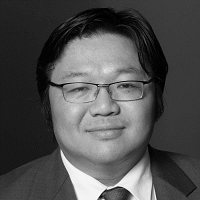 Jonathan is a Senior Manager at Empire Valuation Consultants’ New York City office. He is a Chartered Financial Analyst (CFA). Jonathan joined Empire Valuation in January of 2007. Since then, he has developed extensive expertise in valuations related to complex securities, intangible assets, mergers and acquisitions, and estate planning. He has led numerous engagements for financial reporting purposes, including ASC 820 (Fair Value Measurements), ASC 805 (Business Combination), ASC 718 (Stock Compensation), and Impairment Testing related to ASC 350 (Goodwill and Other Intangible Assets) and ASC 360 (Property, Plant and Equipment). He has also performed many valuations for tax reporting, acquisition and divestiture, transfer pricing, ESOP, and general corporate planning purposes. In addition to holding the CFA designation, Jonathan is currently undergoing the accreditation process for the Accredited Senior Appraiser designation. He has also completed American Society of Appraisers’ (ASA) advanced valuation classes on intangible assets. Jonathan has presented on various valuation topics, including discount for lack of marketability (DLOM), option pricing models and cheap stock issues, at ASA and CFO conferences, both national and local, and is involved with the development of The Appraisal Foundation’s valuation advisories. He is a member of Empire’s Technical and Standards Committee. 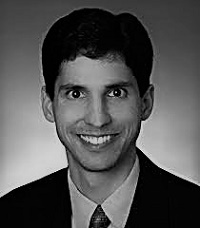 Prior to joining Empire, Jonathan worked for seven years as a senior engineer in the telecommunication industry, first at Lucent Technologies / Agere Systems, then at GlobespanVirata / Conexant Systems, where he designed and tested Very Large Scale Integration (VLSI) Systems on a Chip (SoC) for Digital Signal Processing (DSP) applications.